As JUGFACE, Chad Crawford Kinkle’s litte slab of Backwoods Gothic has been earning a justifiable reputation for itself on the festival circuit. 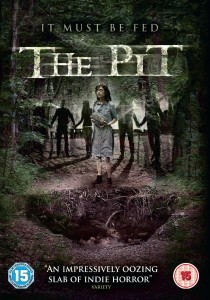 Hooray to 101 Films for bringing it to UK DVD as THE PIT. It’s the story of one of those delightful rural communities you see in horror movies or cable documentaries. You know the sort of thing, they love collarless shirts and roadkill washed down with moonshine, they hate dental hygiene and varied DNA in the breeding pool. They worship a hole in the ground that keeps them healthy and strong as long as they sacrifice someone into it on a regular basis. Who? That’s easy, the pit sends visions to the camp’s potter who fashions a jug with the sacrificial lamb’s face on it. This time, it’s the turn of Ada (Carter) but she has other plans. The main achievement from Kinkle and Cast (which sounds like an animated comedy about a theatre company) is one of tone. 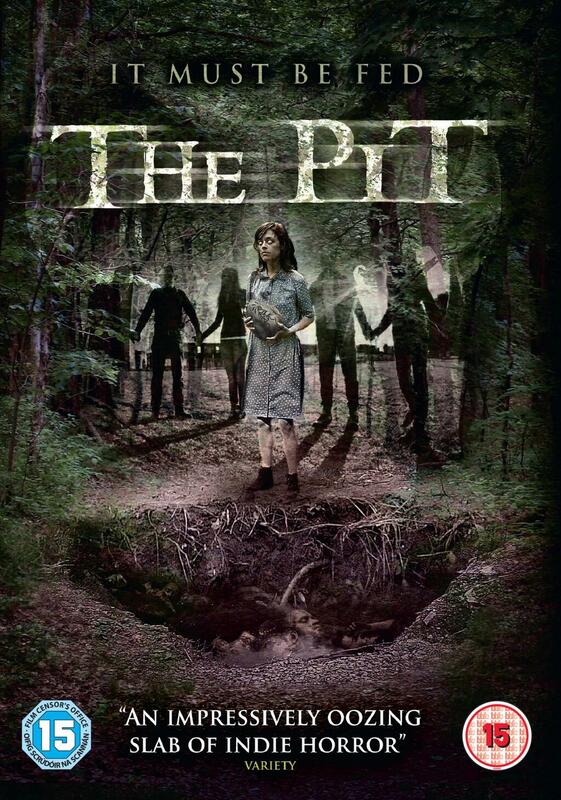 It would be so easy for THE PIT to have become laughably grotesque, but everything is pitched believably and, while the subject matter (and treatment of Ada) is frequently grim, you’re carried along by a set of characters inhabiting a morally complicated world. You sympathise for Ada — after all, who wants to have their throat cut? — but there’s no escaping the fact that the longer she tries to avoid her fate, the worse it will be for everyone else. It’s a brilliant, engaging and inventive movie. A perfect example of what can be achieved when a solid dose of creativity and skill compensates for a lack of budget.